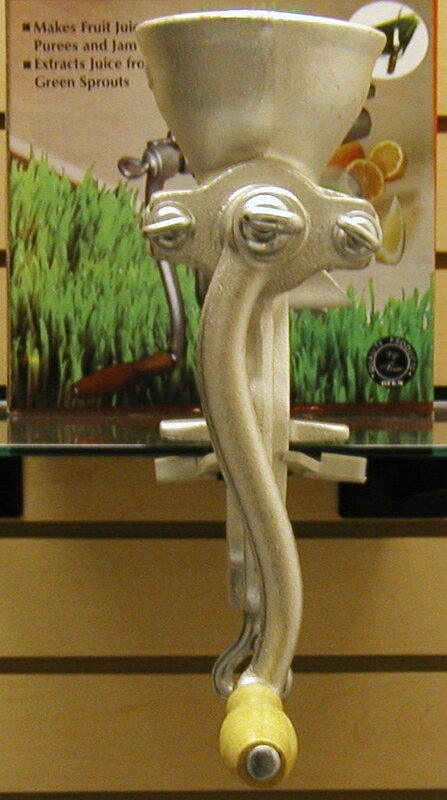 wheat grass juicer wheatgrass growing kit Temecula. Practical juice extractor for wheat grass and all soft fruits, berries and leafy vegetables. Tin plated cast iron construction. With stainless steel screen for long life and easy cleaning. Can also juice grapes, berries, and leafy vegetables. 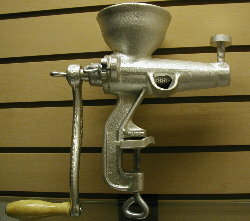 Better health wheat juicer chopper! purees foods for babies elderly and those on restricted diets etc.. Caution This machine will rust if you do not dry it immediately after washing! NOTE: Requires Countertop or Table to clamp on to. Kitchen Fantasy in business since 1984 family owned and operated! Proud to offer our wheatgrass juicer. 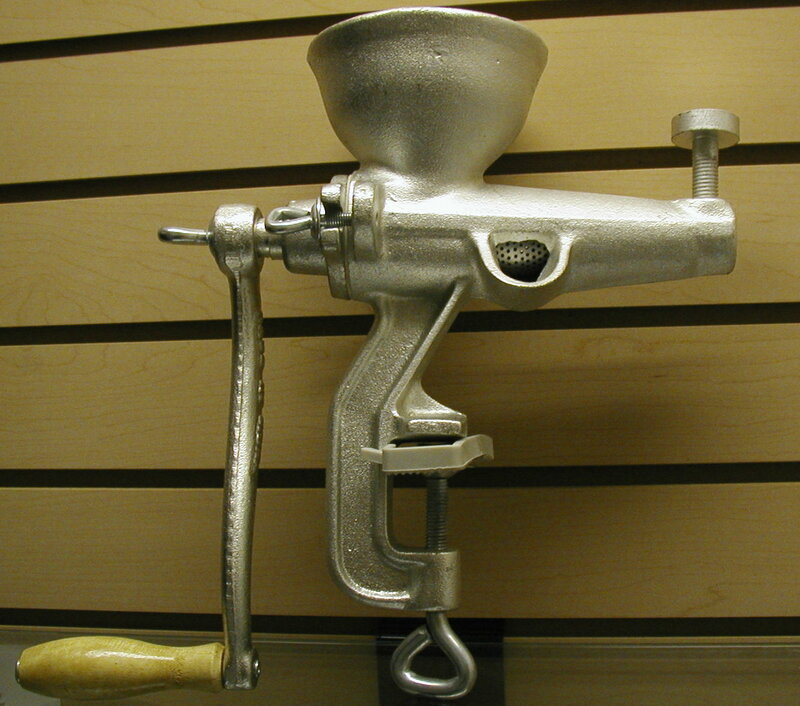 Use to obtain a high degree of compression for squeezing all kinds of fruits and grasses. Adjustment screw controls the compression force. Food is strained through a fine or coarse stainless steel screen. Dry waste material ejects out to the end point of the unit. Disassembles, cast iron, tin coated, 11” high. Kitchen Sprouter (No.KS100) Grow delicious, nutritious sprouts right in your kitchen without, soil, sun or a green thumb. Scrumptious in salads, soups, sandwiches, omelets, etc. Designed for proper drainage and air circulation. 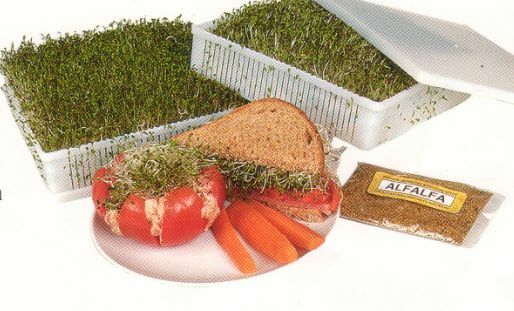 Includes 2 stackable sprouting trays, drain tray, cover and alfalfa seeds. White plastic 8" X 8".